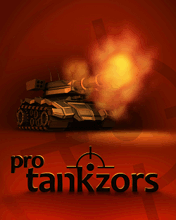 Tankzors Pro is a sequel of Tankzors. 30 absolutely new missions. Many online missions. Palms, clouds, smoke haze and other new graphics. New types of tanks and other units. Tanks-kamikazes and… oh my god… triggers. New buttons for touch-screens.